They call me Diva Geneva; really don’t understand where that came from but whatever. I tag along with my Dad when he decides to come to work on occasions, which is becoming less frequently. I like coming because I don’t know how they get along without me! This week I have to get my teeth cleaned because everyone is telling me that my breath stinks, how dare they I don’t put anything that doesn’t belong in my mouth. No tasty treats like horse nuggets, or leftovers from the litter box. No way is that my life style! Anyway I’m getting my teeth cleaned tomorrow. Everyone’s quite the buzz around here about February being National Dental Health Awareness Month. I didn’t realize that so many bad issues could come about because of a little tartar and gingivitis. I overheard my Dad saying that just by cleaning my teeth I could live 2 years longer. I certainly don’t want to be swallowing bacteria from nasty teeth and have it enter the bloodstream to affect my heart, liver or kidneys. I say sign me up and let’s do this on a regular basis possibly every year. I’m so happy that my Dad watches out for me and makes sure I get the care I deserve! On a side note my Dad is offering to make getting a teeth cleaning easy for you too! He wants everyone to live longer and healthier so he is offering to clean your teeth for only $199 for the rest of the month and March to. Don’t waste another minute and call us to schedule your appointment. This entry was posted in Pet Health Concerns, Uncategorized, Veterinary, Veterinary Medicine and tagged cats, dental health in pets, diva dogs, Dogs, groomers, pet owners, pets, veterinarians. February is national Pet Dental Health month. This event was launched by the Veterinary profession to bring awareness to the importance of dental health for our pets. 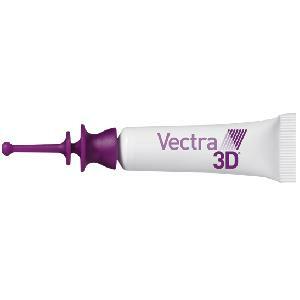 The Country Doctor (Jefferson) and Geneva Veterinary Clinics have expanded their dental health emphasis to the entire year. We educate our clients every day about these issues. Dental health is just that important and we want every pet to have a chance to have a healthy mouth and a good life. As our relationship with animals changed our expectations regarding quantity and quality of life issues changed as well. 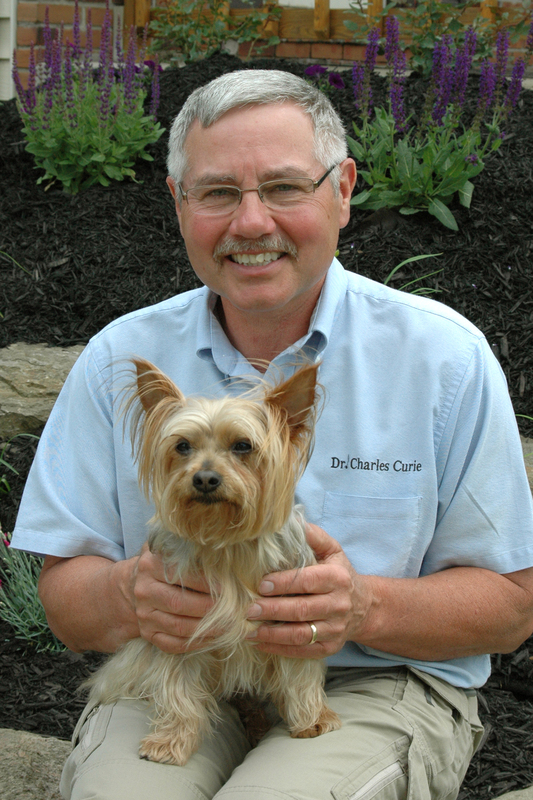 My career as a veterinarian began in 1971 as I began my education at Ohio State University. At that time there was little if any emphasis on oral health in dogs and cats. We were only focused on the big problems like a serious tooth root abscess or a broken jaw. I began my private practice here in Ashtabula County in 1978 and still neither my profession nor pet owners were giving much thought to dental health issues in pets. But change was afoot. Pets were rapidly moving from the back yard to the bedroom and attaining status as family members. We all wanted them to live longer healthier lives. Veterinary medicine responded to the will of its consumers and a flood of new vaccines, preventative medicines and procedures were ushered in. 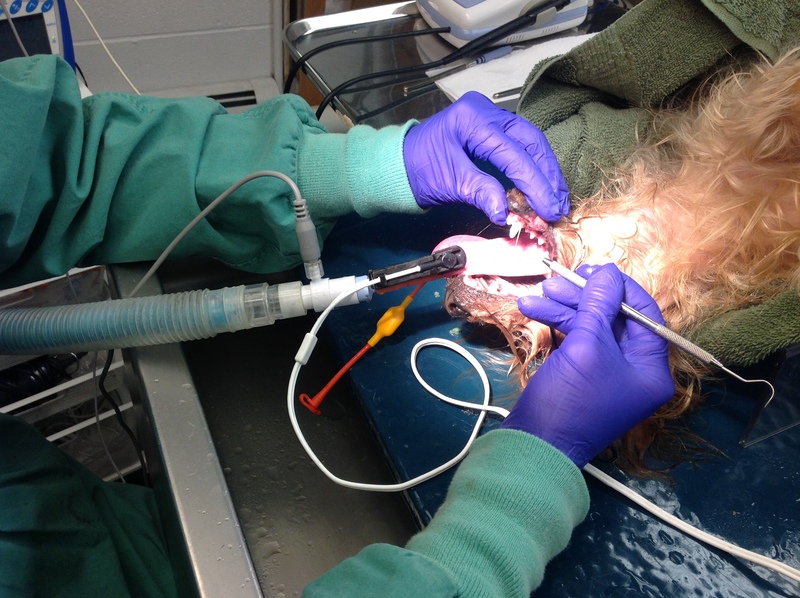 Preventative dentistry was one element of this new era and it has made a major impact on quality and quantity of life for our pets. Keeping pets’ teeth clean and mouths healthy has added two years to their life span. Quality of life has improved immensely. There are volumes of research to support these facts, but more importantly and perhaps more credible is the many millions of owners who can say wow what a difference that has made for my pet. In the 36 years I have been practicing veterinary medicine I am pleased to say WOW as well. Pets are living almost 50 percent longer than when I began. And quality of life is so much better than back in the “Not” so good ole days! It should be no surprise that clean teeth can make such a difference! Our dentists have been telling us this stuff for the last 75 years. Dirty teeth cause gingivitis which leads to periodontal disease and tooth loss, which allows bacteria to enter the blood, which leads to heart, liver and kidney diseases and poor quality of life and shortened life span. Period! Not all dogs and cats need their teeth cleaned but it is estimated that at least 60 percent of them over the age of four do. This correlates with what I see in daily practice. I have people say well Doc I remember this old farm dog that live to be 18yrs and never had his teeth cleaned. Yea, yea, yea we all know of the exceptions. But I also know that “Ole Roy” may well have had a much better quality of life if he had a healthy mouth. Furthermore I or any other Vet for that matter can pretty much guarantee that most small breed (under 40lbs) dogs and most cats will definitely need to have regular dental cleanings done. Dental health is mostly a matter of genetics. They either have a predisposition for good or bad oral health. Regardless of the ads and TV commercials it has little to do with diet and treats. Sorry about that, but it is true. So if you want your pet family member to live as long as possible and have the best quality of life you must take care of their teeth. To find out more about celebrating “Pet Dental Health Month” and our promotions visit our websites http://www.countrydrvet.com or http://www.genevavetclinic.com. This entry was posted in Pet Health Concerns, Veterinary, Veterinary Medicine and tagged cats, Dogs, pet dental health awareness month, Pet teeth Cleanings, pets, veterinarians. I want to apologize about publishing the delay of this third article on ticks. No excuses just got behind and never got to it. Here it is the last article on ticks and then we will move on to other subjects to discuss! The best way to prevent Lyme and other tick transmitted diseases is by preventing tick infestation. In this article we will investigate tick prevention products, and other recommendations to reduce exposure to the blood sucking disease-spreading parasite. The first step in prevention is acknowledging that the problem exists. In the previous two articles in this series I provided plenty of information that confirms the rapidly growing tick and Lyme disease problem in Ashtabula and Lake Counties. A recent e-mail update from the Companion Animal Parasite Counsel (CAPC) confirms this all once again. They indicate that so far this year there has been 30 new cases of Lyme in dogs in Ashtabula County. This data is based upon information from the two largest diagnostic labs in the country. Ashtabula County Lyme cases represent 13% of all the Lyme cases in Ohio. The next highest county only represents 1.7% of the state’s cases. So that simply put means we are by far and away the Lyme hot spot. The researchers go on to state that this statistic represents less than 30% of the true Lyme activity in the county. As I’ve said ticks and Lyme disease are a big deal here. Don’t think that just because you are not seeing the ticks and haven’t experienced the disease that it will not affect you! Ticks and Lyme are here and definitely here to stay. The problem is only going to become worse. Yep when it comes to ticks and Lyme disease the dogs are the lucky ones. We have a great Lyme vaccine which we have been using on all our canine patients at the Country Doctor and Geneva Veterinary Clinics for the last year. Having completed the first year of this we have now vaccinated most of our K9 patients. What a relief knowing that so many are now protected! This will remain a part of our vaccination protocol forever now. There are also several really good tick prevention products available for dogs. These monthly topical applications safely and effectively prevent both fleas and ticks. These pests will die within several hours after arriving on the dog. This is very important because they will never have a chance to reproduce, and the time spent feeding before they die will be very short. There is plenty of evidence that the risk of disease transmission increases dramatically the longer the ticks stay attached and feed. So a quick death greatly reduces the risk of the spread of disease. Another extremely important factor here is that a good tick product on your pets will almost eliminate the worry about them bringing ticks into your home and bed. Ticks in people’s beds tends to really freak them out. The one thing we hear every day from our clients is that the flea and tick products they purchase over the counter do not work. Yea we know. People have been telling me this for the last 36 years. It is just a fact. I understand why pet owners try these less expensive options. But at the end of the day they become more expensive because you still need to buy a good prescription flea and tick product and possibly spend money on vet bills for the diseases caused by fleas and ticks. It is easier and cheaper to do it once and be done with the problem. Cats and other animals do not have it so good. No vaccine and very limited selection of tick prevention products! Check with us or your regular veterinarian to see what will work best for your cat. The other species are pretty much out of luck when it comes to flea and tick preventives and Lyme vaccine. What about people. Well we are one of the other not so lucky species. No vaccine and no good preventive products. It is recommended that we layer clothing so the ticks have to crawl up to our head to find bare skin to feed on. They will be easier to find on your neck and head. So pants inside socks, shirt inside pants etc. It is also recommended to spray your clothing down with a mosquito repellant which contains a high concentration of DEET. There is also clothing sprays which contain permethrin. Other measures include daily tick checks. Closely scrutinize your own and your children’s body for ticks. If you find one remove it carefully with a pair of tweezers. Grasp it near the head and apply steady pressure away from your skin. This will cause the tick to release its grip in your skin. Take the tick to the county health department. They can send it to Ohio State to be identified for a small fee. Develop tick-safe zones around your home by keeping the yard mowed; remove leaf litter, mulch the yard edge and applying anti-tick insecticide chemicals to the yard. The best time to apply these chemicals is late May early June and again in the fall for deer ticks. These are good recommendations. However for many of us who work outdoors in tick infested areas or who have built our homes in the woods we must realize that there simply isn’t a practical solution to the problem. For these people daily tick checks are extremely important as is tick prevention for our pets so they don’t bring the ticks into our homes. Being a veterinarian I cannot really comment on Lyme disease in people or offer medical advice. However I do tell everyone to be proactive with their own health issues. If you think you have been exposed to tick bites and Lyme disease, or if you have unexplainable aches and pains, flu-like symptoms that do not improve you must be insistent about Lyme testing. If you are not getting anywhere find a Lyme literate physician. For me the biggest lesson learned at the Ashtabula Kent State Lyme Symposium was that most people are misdiagnosed for a very long time and they become progressively debilitated as time goes on. My staff will be glad to answer all questions regarding ticks and Lyme disease in pets. Just give us a call at the Geneva Vet Clinic 440-361-4363 or the Country Doctor Vet Clinic 440-576-9440. This entry was posted in Pet Health Concerns, Veterinary, Veterinary Medicine and tagged cats, Dogs, Joint swelling, Lyme disease, Ticks, veterinarians. This entry was posted in Pet Health Concerns, Veterinary, Veterinary Medicine and tagged animals, cats, Christmas, Dogs, pets, Thanksgiving, vomitting in dogs or cats. The clinic phone rings…………………Hello………..Oh my gosh I woke up this morning and found ticks in my bed!!!!!!!!!!!!! How did they get there??? This is so disgusting!! Yuck, Ick….what can I do?? Yep we get those calls frequently. Ticks definitely have a big “Ick” factor. Ok so we all agree that ticks are totally gross. Besides being very good at creeping people out what true medical significance do they represent? That’s the purpose of this series on ticks and tick borne diseases. We all need to be well-informed. Know thy enemy! Ticks are not only gross – they carry diseases like Lyme, Rocky Mountain Spotted Fever, Anaplasmosis, Ehrlichiosis, and Babesiosis. Yeah I know that you have probably never heard of most of these diseases but that is because they are spread by ticks and NE Ohio has been pretty much tick free…..until recently. Believe me you and your pets do not want any of these diseases! I cannot explain why Ashtabula County had always been relatively tick free. The “experts” always thought I was simply stupid or incompetent when I would explain to them that our tick population was negligible to the point of almost nonexistent. To the bug guys this was absurd. Well they didn’t live and practice veterinary medicine here. I am a lifelong resident of Ashtabula County and have spent most of my life in the outdoors as well as having practiced veterinary medicine here for 36 years. And I am telling you the number of ticks was simply irrelevant….. until a few years ago. All that has changed in the last few years and now we are seeing a rapid explosion of ticks throughout the region. It began in the extreme north-east by Conneaut and now is basically everywhere. 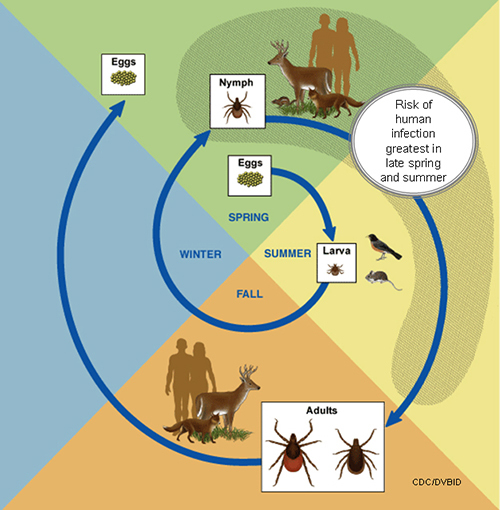 The primary hosts for ticks are deer. One white tail deer can support enough tick reproduction to add 750,000 ticks to the environment next year. Enough said. They are carried around by birds. Birds are highly mobile and they migrate. Enough said. We have identified several different types of ticks here. The black-legged tick or commonly called the deer tick, the Lone Star tick and the American Dog Tick are the most common. By far the dog tick is the one most commonly found by people. This is because they are present in large numbers and are quite big so people easily find them. Let’s review some tick facts and fallacies. Ticks are bugs. Bugs lay eggs (thousands of eggs) which hatch into larvae, which turn into young adults called nymphs which finally become adult ticks. This four stage life cycle can take up to 3 years to complete and involves a wide variety of hosts. A host is the animal upon which the tick lives and feeds on their blood. The only thing ticks eat is blood. They are slow feeders and consequently stay attached to the host for long periods. The larvae, nymphs and adults are all blood feeders. They have an anesthetic in their mouth parts so the host doesn’t even feel the bite. Pretty treacherous isn’t it! The larvae and nymphs prefer to feed on small mammals and birds. This may take two years. The nymph deer tick must feed on the white footed mouse in order to become infected with Lyme disease. We have these mice in NE Ohio. Sometimes they will also get on a larger mammal such as a dog or human. They are primarily responsible for spreading Lyme disease. These nymphs are very small and hard to see. The adult ticks prefer large mammals such as deer, people etc. It is here that they complete their life cycle mating etc. and finally drop off to deposit eggs in the ground so the whole process can start over. 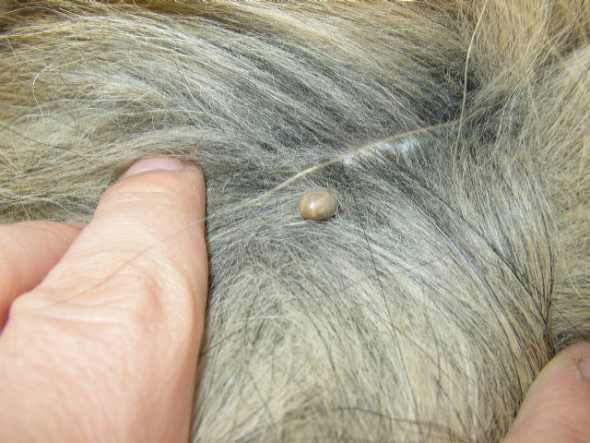 The American Dog Tick is the most common tick reported in Ohio. It is most active April through July is quite large and is responsible primarily for transmitting Rocky Mountain Spotted Fever. I have personally had Spotted Fever and believe me you do not want it. I got from a tick bite in Southern Ohio many years ago. 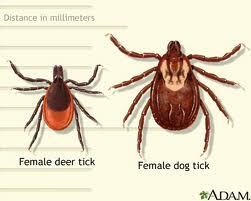 The next most common tick in Ohio is the black-legged or deer tick. This is a very small but very dangerous tick which spreads Lyme Disease, Anaplasmosis, Ehrilichiosis and Babesiosis. Dogs and humans are most impacted by these diseases. I believe many more species are affected as well but we aren’t looking for it in other species. As I have already said the larvae and nymphs prefer small mammals and birds but they are opportunist like all parasites and will feed on people, pets and livestock given the chance. The adults prefer to feed on large mammals like us, dogs and deer. Even the adults are tiny and hard to see. The nymphs and larvae are even smaller. This makes it very unlikely that you will find them on heavy coated animals. They are hard enough to find on your own skin. 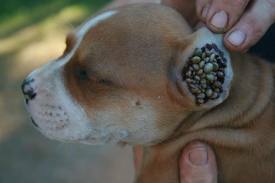 The larvae and nymph deer ticks are most active in the spring and early summer. The adults are active late summer and fall. The Lone Star Tick is more common in southern Ohio but we are beginning to find them here as well. They are most active April through August and they transmit two diseases to pets and people. These are Ehrlichiosis and STARI (Southern Tick Associated Rash Illness). These ticks are relatively large like the American Dog Tick. Myth: Ticks jump or fly. Truth: Ticks are rarely found above your knees. They wait on grass or brush for a host to pass. Upon detecting the host body heat they wave their front legs around and grasp onto a hair or thread then climb on. Deer ticks do not have eyes………..so jumping is out of the question! Myth: A hot match, fingernail polish, rubbing alcohol, or petroleum jelly will cause a tick to back out. Truth: None of this works. They will only allow the tick to remain alive and attached longer increasing the risk of disease transmission. Stay tuned for the next article about tick prevention. This entry was posted in Pet Health Concerns, Veterinary and tagged bugs, cats, Deer, Dogs, Joint swelling, Lyme, Lyme disease, Tick, veterinarians. Representative Patterson hosted a Lyme symposium in conjunction with the Lyme Bites support group. The symposium was held at Ashtabula Kent State University Campus and was attended by nearly 100 people from NE Ohio. I was one of the speakers on the panel. Most in attendance had been directly or indirectly affected by Lyme disease. The testimonials were heart wrenching. Lyme disease is nothing to take lightly and unfortunately it is most often misdiagnosed in humans. I think we were all moved to near tears by the testimony of a brave 14-year-old girl named Megan who had been confined to a wheel chair because of Lyme disease. Now under the care of a Lyme literate physician she is slowly improving and can now stand and walk again. Another young woman from Perry told her story about her three children who contracted Lyme disease from her in utero. This is where an infection is transmitted to the unborn fetus. She had no idea that she was infected. The children were misdiagnosed for a long time until she finally pieced the puzzle together and took them to a Lyme specialist in Connecticut. They are all making some progress now. I shared with the audience the unbelievable rise in ticks and Lyme disease which I have witnessed at my two veterinary clinics. 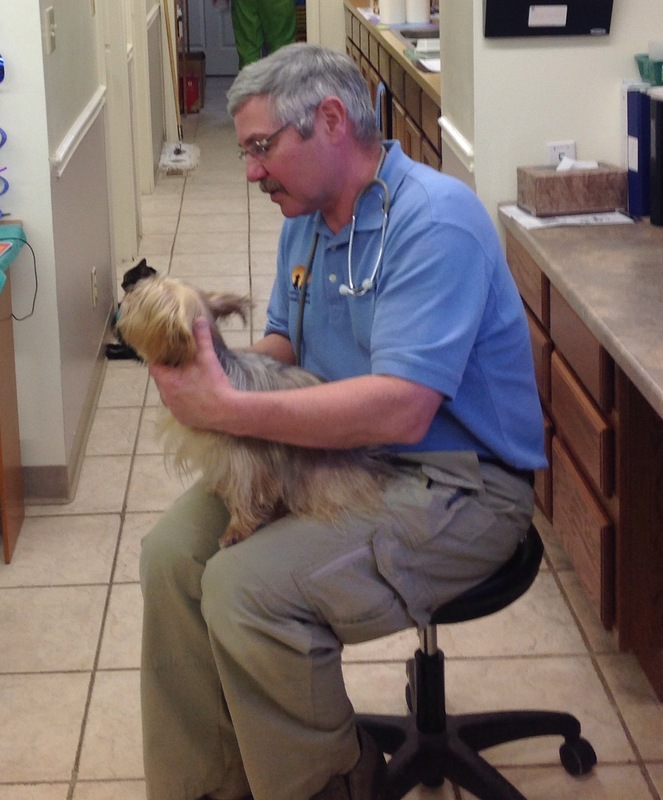 Both the Country Doctor Vet Clinic in Jefferson and the Geneva Vet Clinic in Geneva have experienced an absolute explosion in the number of ticks and Lyme infected dogs. This is a new phenomenon for North East Ohio. I was born and raised here. I have literally spent my life pursuing outdoor activities with a passion and have practiced veterinary medicine here for the last 36 years. I never dealt with ticks until 6 or 7 years ago. At that time we began seeing the tick population emerge in the Conneaut area. Initially it was just very sporadic reports. However now it is rampant. The ticks are spreading from east to west and now moving south. We are now seeing many ticks from South County as well, Andover, Williamsfield, Orwell, Rome, Rock Creek. They are everywhere. We are finding ticks on animals from Conneaut to Perry in amazing numbers. Last year I found my first Jefferson tick on a dog which had never left the village. This year it is becoming more common in Jefferson. We have people in the northern part of our practice areas who tell us they remove 10 -15 ticks from their dog every time they go out in the yard. And yes I said the yard! These are not farm dogs that are running the fields and woods. They are pets who live in town. Of course the farm and hunting dogs are even more exposed to ticks and Lyme disease. We have recently diagnosed numerous cases of Lyme disease in dogs and all but one of these lived in town. The exception was a farm dog from the Monroe township area. These dogs are sick! They have swollen joints, enlarged lymph nodes, lameness, lethargy, depression and poor appetites. Fortunately they have all responded well to treatment. But the long-term effects are yet to be seen. The purpose of this series on Ticks and Lyme disease is to make the general public aware of these new realities here in NE Ohio. They are here to stay. Nobody can make them go away and the problem is only going to get worse. You can count on that. It is my goal to make every one Tick and Lyme literate. Know thy enemy! We all need to learn about ticks and Lyme in order to protect ourselves, our family and our pets. We need to be smarter than the bug. Ticks and Lyme are new to us but they are nothing new to the North East and North West United States. We can learn so much from the knowledge already discovered in these endemic areas. The next article in the series we will discuss what makes ticks …………tick! This entry was posted in Pet Health Concerns, Veterinary and tagged cats, Deer, Dogs, Fleas, Joint swelling, Lyme, Lyme disease, Ticks, veterinarians.